Built along the historic Natchez Trace, this antebellum estate showcases the evolution from a family farm to a large-scale equine operation throughout the nineteenth century. John Harding purchased the initial 250-acre property in 1807, leveraging an enslaved workforce to establish himself as a successful plantation owner. 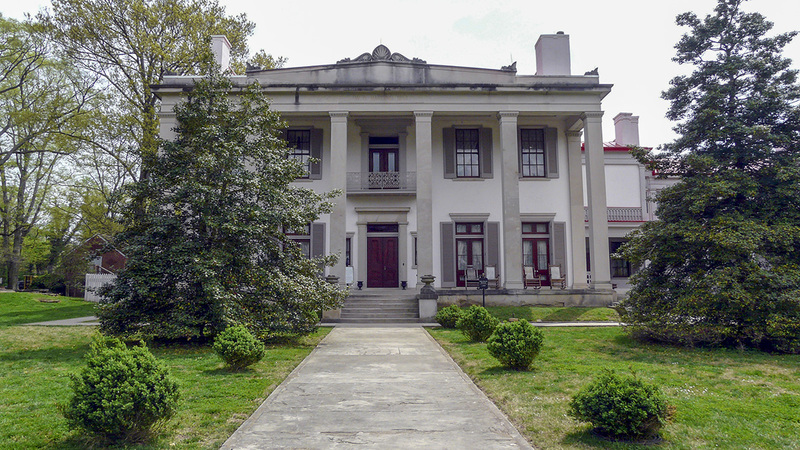 By 1820 Harding had built a Federal-style brick farmhouse, and the property was known as Belle Meade. William Giles Harding succeeded his father and in the 1840s updated the house to a mansion in the Greek Revival style, including a cantilevered, elliptical staircase and a porte-cochere. The breeding and racing of thoroughbred horses shaped the estate’s landscape and earned the family national fame. 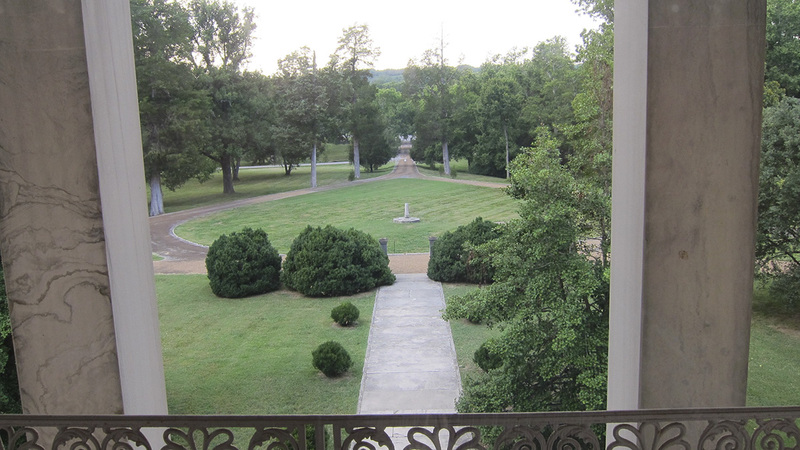 By the Civil War it had grown to encompass some 5,400 acres maintained by 136 slaves, but the end of enslaved labor and postwar debt forced the family to sell the estate in 1906. 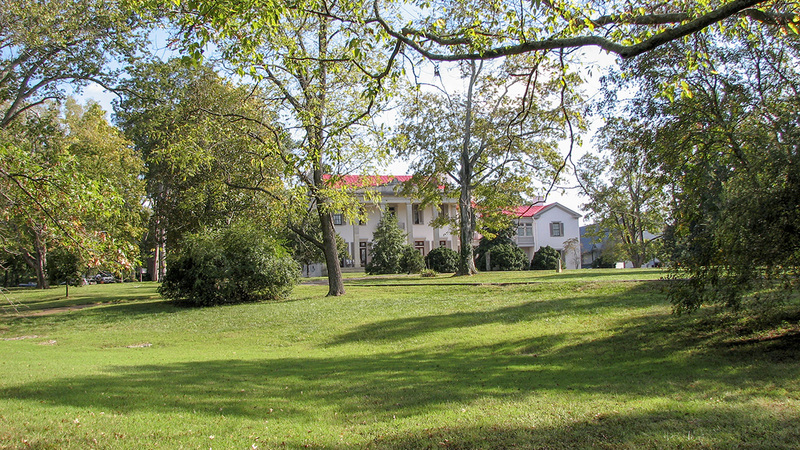 The mansion, outbuildings, and 30 acres of land were purchased by the State of Tennessee and deeded to the Association for the Preservation of Tennessee Antiquities in 1953. 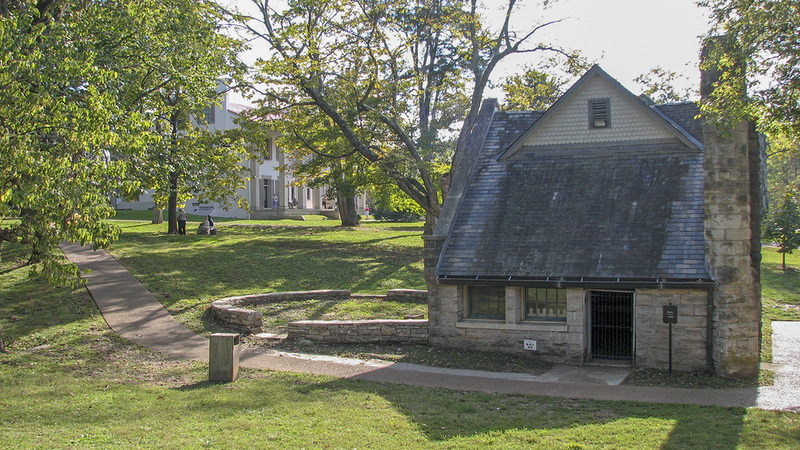 Extant outbuildings include a privy, smokehouse, horse barns, carriage house, and cabin, demonstrating the variety of operations that contributed to the estate’s livelihood. Structures are visually connected with formal, axial gardens and a park-like landscape of lawn and trees. 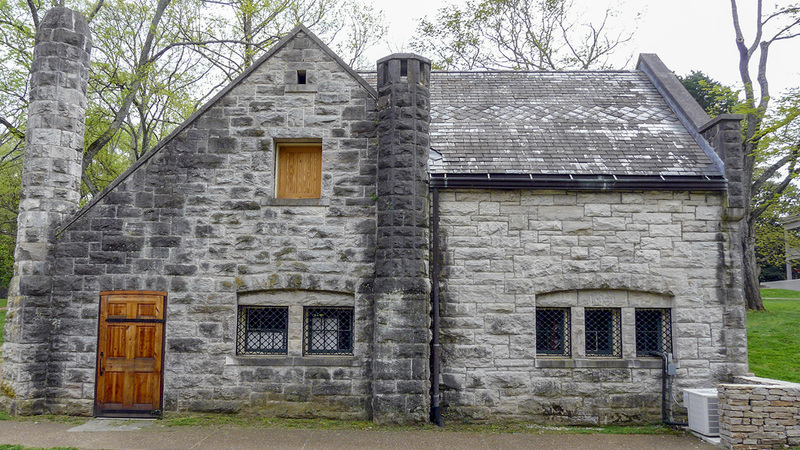 The entry drive passes through slave-built, stacked, stone walls and crosses Richland Creek, terminating in a teardrop shape in front of the mansion. 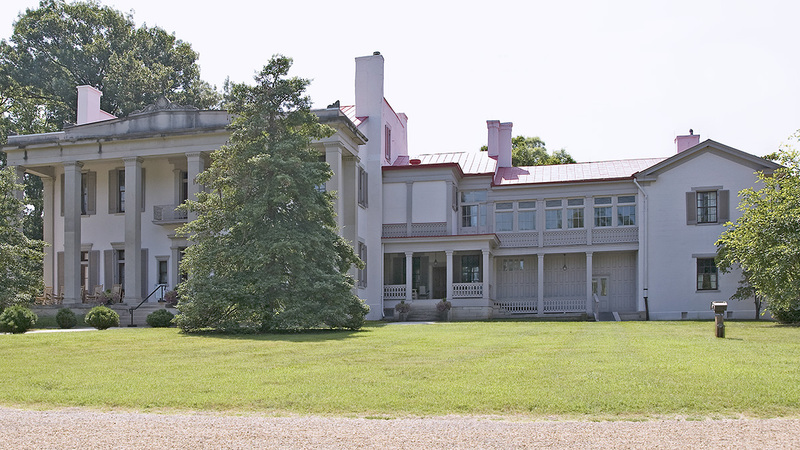 Site circulation reflects the importance of showcasing horses and carriages, while the ornamental gardens surrounding the mansion would have been important for the family when entertaining potential buyers and high-society guests, such as President Grover Cleveland and his wife, Frances, who visited in 1887. 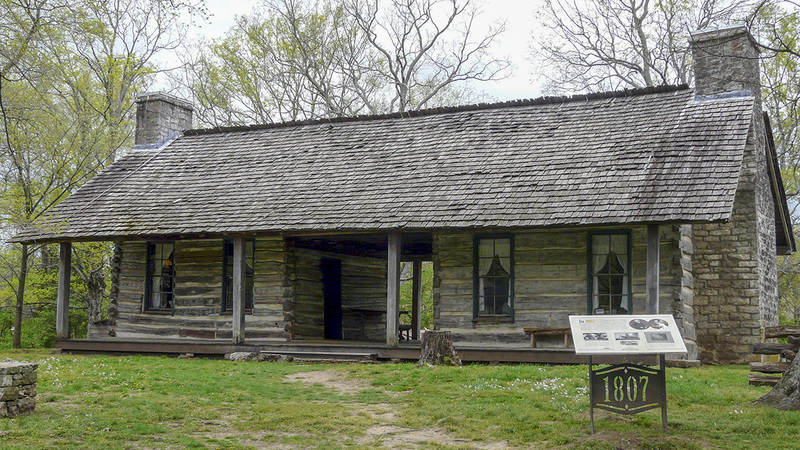 The site was listed in the National Register of Historic Places in 1969.